The geranium is an unwitting catalyst for disaster in a fascinating story called “The Master and His Pupil.” This English fairytale by Joseph Jacobs. (1854 to 1916) spotlights a hapless apprentice, immediately out of his depth in the presence of the demon, Beelzebub. In desperation to set Beelzebub a task as the devil commands, the apprentice cries “Water yon flower.” In real life, that generally means the geranium will thrive. "Geranium" comes from the Greek world "geranos," which means "crane." The flower’s other common name, "cranesbill," describes the appearance of the seed heads, like the bill of a crane. 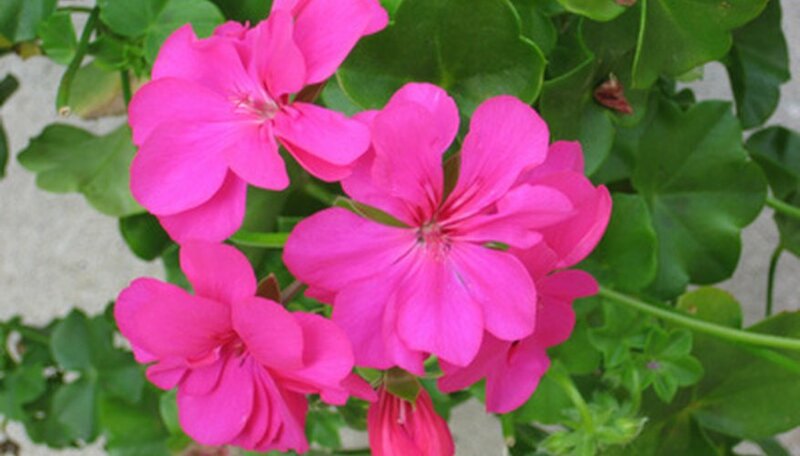 "Hardy geranium" is an additional tag used to differentiate geraniums from pelargoniums, which form another genus dating back to the 18th century. 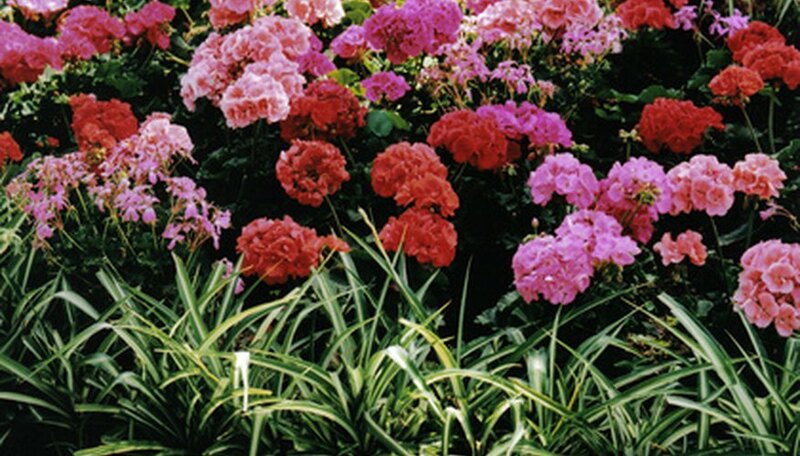 Prior to that, geraniums and pelargoniums were together in one group. They remain members of the same Geraniaceae family. There are more than 400 species of annual, perennial and biennial geranium plants, and more than 200 species of annual and perennial pelargoniums. The efforts of explorers and botanists all over the world mean that we have many shared varieties of geraniums to enjoy. For example, Geranium albiflorum comes from the woods and banks of north and central Asia and northeast Russia, propagated by seed. The June-flowering cultivar, Geranium ‘Ankum’s Pride’ is the 1990 creation of Coen Jansen of the Netherlands. It is a cross between G. sanguineum and a seedling of G. ‘Jubilee Pink.’ The Geranium antrorsum species is a hardy perennial. It originates in the grasslands of Victoria in New South Wales, Australia, flowering in June. Geraniums mean a mixed bag of colors, sizes, shapes and uses. They are red, pink, purple, orange and white, funnel and star shaped. They are not merely ornamental, but useful in cooking and medicinal terms too. Geraniums give flavor to baked goodies, and make calming teas. Medicinally, they treat skin conditions, headaches, arthritis and stomach problems, and create aromatherapy products, according to the FlowerInfo website. Flowers in general and geraniums in particular had a language all their own, especially during the reign of England’s Queen Victoria (1837 to 1901). Flowers conveyed very specific messages, depending on the particular flower, its size and how it was presented, according to the Victorian Bazaar website. The geranium could mean true friendship, stupidity or folly; the ivy geranium requested “your hand for the next dance”; the lemon geranium denoted an “unexpected meeting”; the rose geranium expressed a “preference”; the nutmeg geranium dared to say “I expect a meeting”; and the scarlet geranium stood for consolation. In terms of folklore, the presence of the white geranium meant that snakes stayed away. The white geranium near an open window also meant that flies kept away. On a more pragmatic note, geranium roots meant cures for sore throats and a stop to internal bleeding for some American Indians.